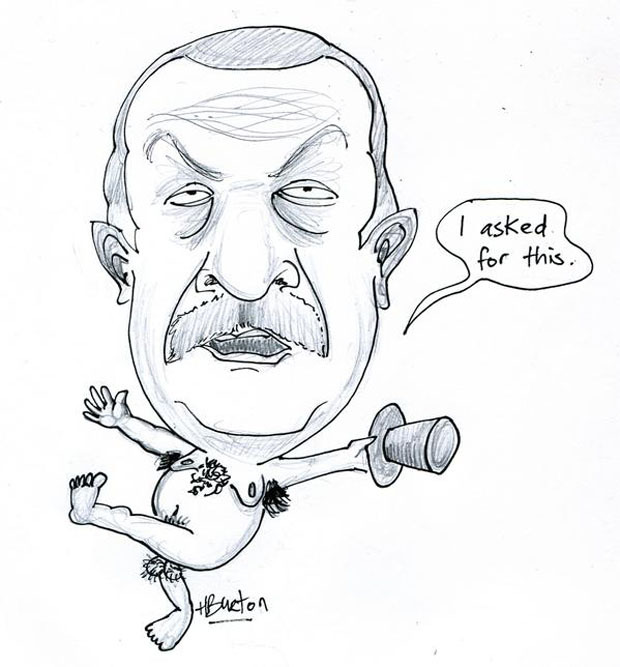 When Turkish political cartoonist Musa Kart faced nine years in prison for “insulting” President Recep Tayyip Erdogan, his colleagues from across the world fought back in the best way they know how — by drawing their own #erdogancaricature. The online campaign was started on Thursday by Martin Rowson, cartoonist for The Guardian, The Independent and Index on Censorship among others, as Kart was scheduled to appear in court. 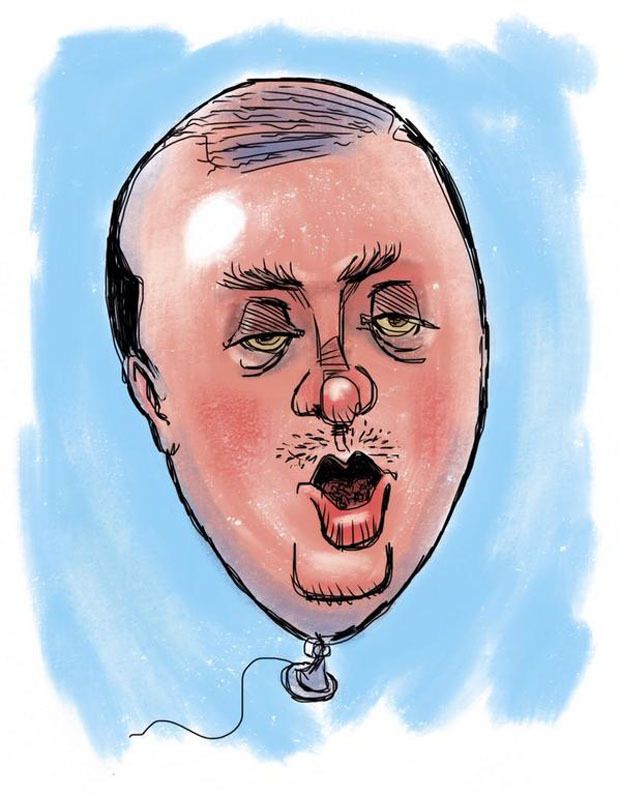 Erdogan himself filed the complaint against Kart over a cartoon published in the daily Cumhuriyet on 1 February 2014 showing the then prime minister as a hologram watching over a robbery. This was a reference to his alleged involvement covering up a high-profile graft scandal. 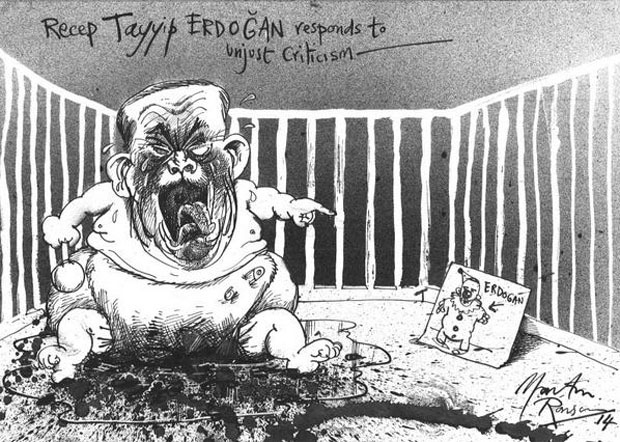 Erdogan claimed Kart was guilty of “insulting through publication and slander,” reports Today Zaman. And while the court initially ruled that there were no legal grounds for action, this decision was revoked following complaints from Erdogan’s lawyer. 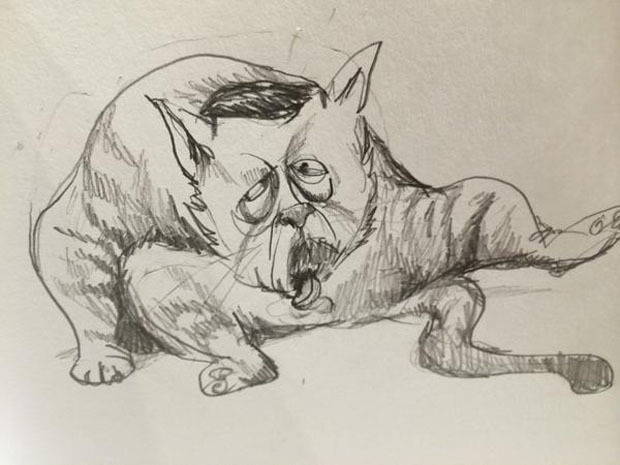 Kart was also fined in 2005 for drawing Erdogan as a cat. 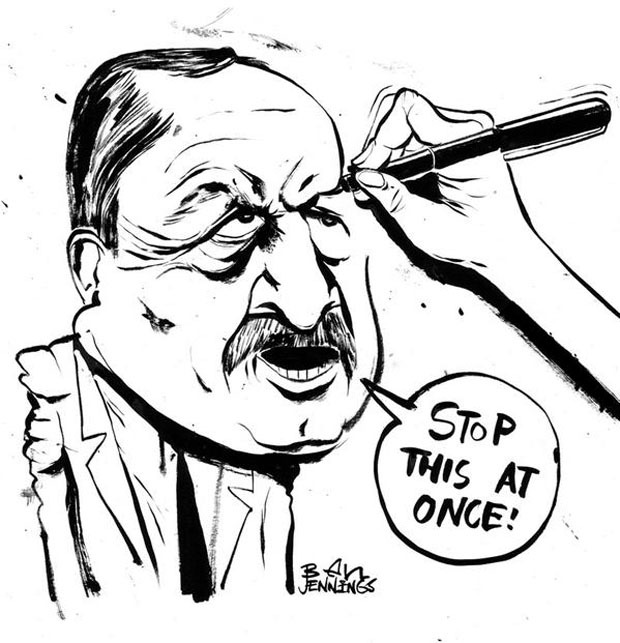 He was finally acquitted, but many of his fellow cartoonists has already shared their artistic interpretations of Erdogan and the case. 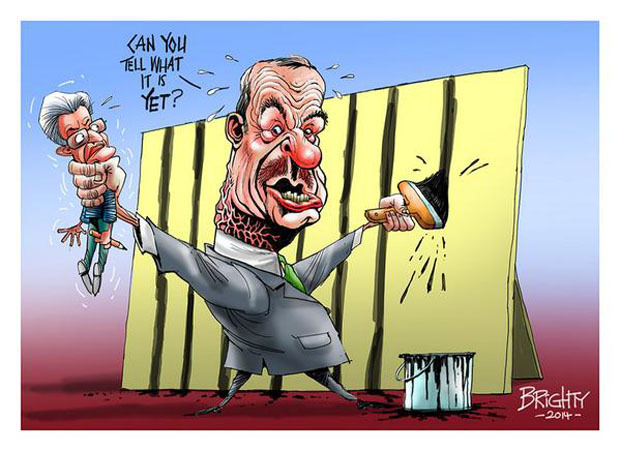 “I was alerted to Musa Kart’s plight by the excellent Cartoonists’ Rights Network International (CRNI) and previously, when an Iranian cartoonist was sentenced to 40 lashes, a bunch of us got together to draw the offended politician who’d had him arrested, the sentence was commuted,” Martin Rowson told Index via email. “It seems this kind of international bullying by cartoon does have an effect, as even the chippiest despot out there can usually detect a batsqueak of the shamefulness of not being able to take a joke. 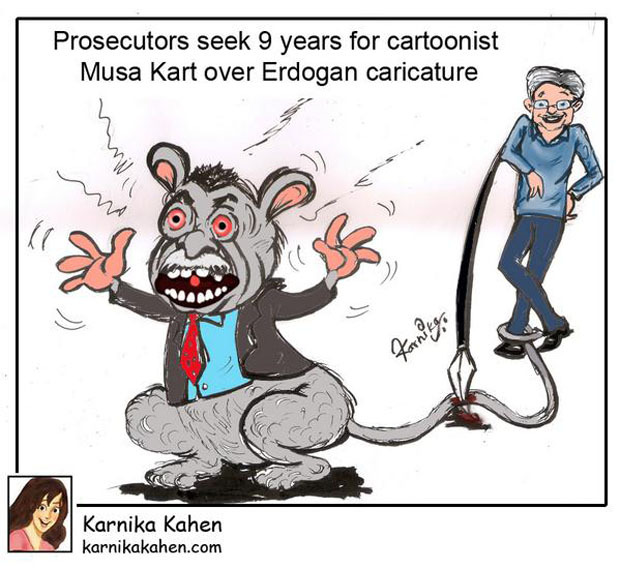 In Musa Kart’s case, the threat of up to nine years in prison was such an outrageous abuse of power I didn’t wait for anyone else to organise this and simply put out a call via Twitter for cartoons of Erdogan to show solidarity. No idea if it had any effect on the court (I doubt it) though it may put Erdogan off the idea of taking the case to a higher court. I hope so. And I hope it gave Musa Kart a feeling that he wasn’t on his own in there. Basically, this is cartoonists playing the Spartacus card, because if one of us, anywhere, is persecuted for laughing at power, we all are,” said Rowson. 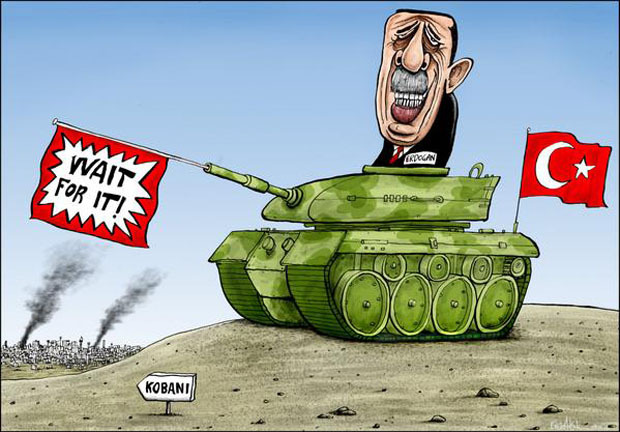 “Cartoonists are often the last bastion of free speech in repressive regimes and equally valued for telling the truth as it is, in democratic societies too; some consider their work to be of just as much value, if not more, as journalists, and many respected for the courage and ability to often say and report what others cannot, or fear to do, alongside the just as valued use of satire to reveal a truth which otherwise might not see the light of day,” Patricia Bargh from CRNI explained to Index in an email. “Thus as societies we should value and protect their right to do what they do, and if they know there is an organisation out there who will take up their case, should they be targeted, we hope that gives them the confidence to continue to on and assists them in their valuable work too,” Bargh added. Nowadays, drawings became tell the facts. I support drawing against censorship in the news. I don’t want to say these cartoons are hysterically funny…the not so secret police may be listening…but I like the cat one the best. I suppose if one wants to insult, tongue on testicles is the way to go.